Even though we don't have accurate data, it is pretty clear to me how important Methane releases are to this process. First, thank you for your articles on this subject, as there are so few sources of accurate data. Your belief, however, that bringing the matter to public attention will help us change our course, is frightfully reminiscent of the appeals of Doctor Doom, AKA, Nouriel Roubini, and his ilk, in the run up to the 2008 Financial panic, and subsequent Depression, now Recovery. As you know, the near collapse of the entire industrial complex and financial system, dubbed Globalization, threw millions out of their homes and revealed the men behind the curtains as the charlatans they are. To the man they still have their jobs and millions, nay, Billions, of dollars stolen and sequestered away in their little secret accounts. Yet nothing, absolutely nothing, has changed. I fear the same dynamic is playing out here. And that the financial disaster has only made it worse, as the two are inextricably entwined. For proof of this one need only look at what each of the OECD economies concentrated on post crisis: AUTO production, which has soared; the absolutely WORSE thing they could have done, but the only thing, with the collapse of the other scheme, housing, left driving modern economic systems to growth. It is the infernal combustion engine that is driving the planet to its doom, and, like the self-driving car they are now crowing about, it is a dynamic we have simply given up on trying to control: we have indeed decided to "Leave the Driving to U.S."
Saying Earth weather is changed is a nice way of saying basically that random motion will increase or that a shift to the limiter of heat gain has happened past the point of fixing it. But I'm saying act bravely because action is possible to put near full force of human endeavor to the task of keeping life on Earth. Physics is physics and entropy rising is hard to confront with words of isolation of open system forcing. 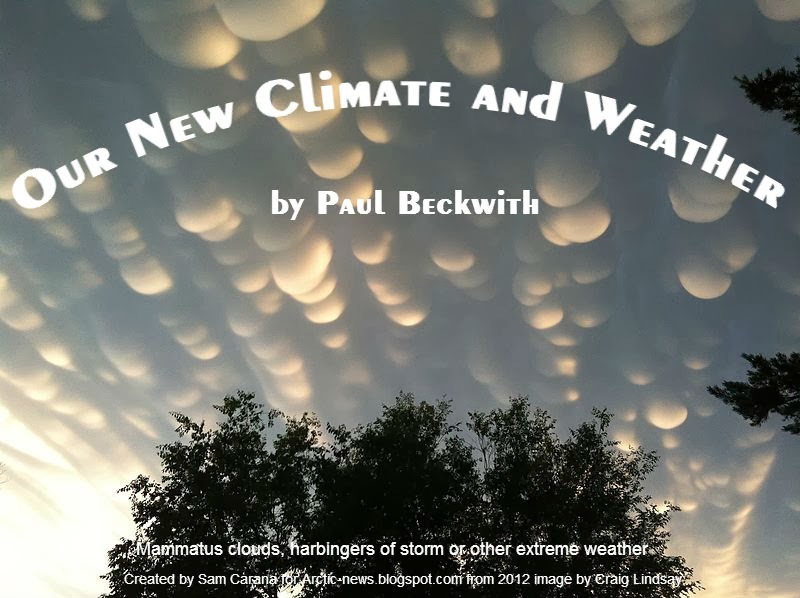 Personally, I'm tired of the endless chatter of climatologists with their maybe, perhaps, might's and similar language. Today I listened to one I call "the whiner" as he drones on in a mindless diatribe "predicting" things I saw a yr ago. When I look at the list to blame, climatologists are at the head. I, fully, understand science and research methods but my god how much evidence do you need to make up your mind. Looks to me, for many, that point will never end. We'll have devastation everywhere and they will still be droning on with their vague language ie meaningless. My read, lets quit blaming "the government" and start pointing our fingers at the real culprits, the endless "I can't make up my mind" people. I have watched glaciers retreat, forests turn brown, devastating storms, massive droughts, the Arctic go mad, Pacific Island people frantically search for somewhere to migrate to, Bangladesh slide beneath the waves, the rising acidity levels in the oceans, fish dying in Alaska's too warm rivers and the list is endless. And still the gutless talk in language that gives even the most mindless denier ample ammunition. I attended my first climate change talk in 1982 so have watched this circus for over 30 yrs. I surrender. Ride my motorcycle, take some trips in the spring, my 2mpg boat to the lake and press on. To hell with it all. Nothing is going to get done. May as well enjoy the time I have left.